Recently, as we've noted, some Catholic pop-theologians sent a letter to Catholic U. and speaker Boehner attempting to establish that his invite to their commencement was on par with Notre Dame's invite to President Obama two years ago. The pop-theologians cited the Church's social teaching as evidence supposedly proving that Boehner has voted in opposition to helping the poor. The letter again notes: "From the apostles to the present, the magisterium of the church has insisted that those in power are morally obliged to preference the needs of the poor." What the pop-theologians assume is that any vote against Medicare, Medicaid, Welfare, or other programs for the poor is considered to be AGAINST Church teaching. So what does the Church say about government assistance to the poor? This is a direct quote from the Compendium of the Church's Social Doctrine - "By intervening directly and depriving society of its responsibility, the Social Assistance State leads to a loss of human energies and an inordinate increase of public agencies, which are dominated more by bureaucratic ways of thinking than by concern for serving their clients, and which are accompanied by an enormous increase in spending." The Compendium goes on to note that there are certain circumstances where the government ought to step in and stimulate or provide assistance for the poor, but it emphasizes that this can never be more than a SHORT-TERM intervention. The Compendium notes: "This institutional substitution must not continue any longer than is absolutely necessary, since justification for such intervention is found only in the exceptional nature of the situation." Contrary to the assertions of the pop-theologians, Boehner's votes could potentially be said to be in line with the Church's teachings, while those voting for increases in such programs would be going AGAINST the Church's teaching. Even more interesting than the blame game here is the Church's vision for programs like Welfare. The phrasing in the first quote mentioned above is brilliant and needs to be reckoned with - the idea that welfarish programs "depriving society of its responsibility." What if there were no welfare? Right now it seems like most people view taxes as an annual bout with the IRS to get as much of our money back as possible - and because of the billions of dollars and the gigantic bureaucracy that we support, it is easy to plead the same as Ebeneezer Scrooge when it comes to taking care of the poor - citing the numerous places where the poor can receive aid from the government as a defense of why they don't need my financial help. With such bureaucracy it is easy to shrug off the poor, homeless, elderly etc. because we're indefinitely paying into a pot on the national level from which money is re-dispensed to the impoverished. What the Church is getting at with its phrase "depriving society of its responsibility" is exactly what we see in our country. What if there were no welfare? What if I saw each poor person on the street as my own personal responsibility? What if I thought of every dime I hold back which is excess wealth as a missed opportunity to better the world? What if, as the Church suggests, there is no long-term welfare? Right now, our current form of capitalism coupled with government welfare and health care provides us with no opportunity to really decry anyone who is excessively wealthy - but if there were no welfare, that would change the game big time. The basis of the Church's understanding of long-term Welfare as PROBLEMATIC is the idea that we will look at in detail later - the EXTREMELY IMPORTANT teaching called "subsidiarity" which simply says functions of government and functions provided by corporations should be left to the lowest level of society as possible - and that includes care for the poor. Is voting against welfare anti-Catholic - no, and in fact, it may be just what the Church ordered for the long term spiritual and economic health of our nation. Licensed to Speak On Catholic Social Teaching? 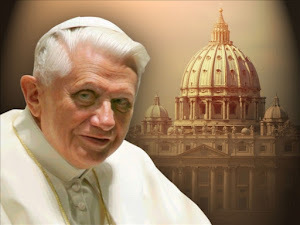 My suggestion for Pope Benedict when he starts seeking the advice of 31 year old priests: mandate that anyone who uses the phrase “Catholic Social Teaching” publicly must first receive a license to do so from the Church. Just as chaos would soon unfold in our streets if we let anyone drive a car, so we have already seen that same affect on the spiritual highway of American Catholicism, and the carnage has not been cars but many souls who have been led astray by pop-theologians. To hear some talk about “Catholic Social Teaching” would give the impression that “Catholic Social Teaching” is the militant wing of the Church from which are launched all efforts to dismantle, sabotage, and undermine all other efforts of the Catholic Church. 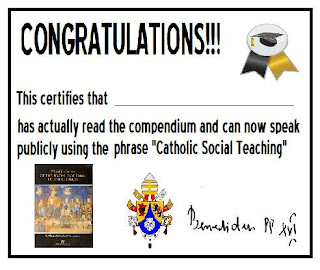 We will be looking at Catholic Social Teaching on here in greater detail over the course of the Summer because it MUST be reclaimed for what it is, and it is a hill that must be taken back from the omni-present “militantly anti-Catholic catholics” who seem to have been formed more by Karl Marx and John Lennon than by Pope Leo XIII and Blessed John Paul II. A HIGHLY instructive little manual that would serve as the “driver’s ed book for those wishing to be licensed in Catholic Social Teaching” is called the “Compendium of the Social Doctrine of the Church.” It covers all the topics and pulls together two millennia of Church teaching on social issues from slavery to abortion and from worker’s rights to democracy, from economics to sociology. It is neither terribly long nor complicated. And yet most who talk about “Catholic Social Teaching” neither have cracked it open nor do they likely even know of its existence. Click here to purchase this reference manual right now. The first issue to be tackled by our little series is this – what the Church REALLY says about Welfare. Bishop Coyne's Raceday Blog Post - AWESOME!!! Click here to read up on Bishop Coyne's first Indy 500. "In an opinion issued Thursday, the Court of Appeals said Kendrick shouldn't have been convicted of both feticide and attempted murder. Under state law, the bank teller, Katherin Shuffield, is the victim in each of those charges, and the same evidence was used to prove them. The judges said that violates a provision in the state constitution that protects people from double jeopardy -- being tried for the same crime more than once. They remanded the case to Marion Superior Court so Kendrick can be resentenced without the two feticide convictions, which account for eight years. But the appeals court noted that the judge can still sentence him to up to 53 years [the original sentence]." First of all, the mother IS the victim in both crimes, but the other victims are the children that were killed! How would you like to be the mother of these kids and have judges tell you "you're the only victim in this event." I wonder if any of these judges were men, and if so, I wonder where the people fighting for women's rights are? Secondly, it is important to realize what political maneuvering is really going on by the appellate court. If the court says that killing a child ("feticide") is a crime in this case, then that means the child is really in some way its own person. BUT... in order to cover itself nicely it noted at the end that the criminal can still be charged with the same 53 year sentence he was originally charged with. Fantastic maneuvering by the courts! They're basically saying "we don't want this to become political, so it wasn't the killing of a child, but don't worry, he's still going to jail for the same amount of time." Does a crime like this depend on whether the mother was on her way to the abortion clinic or not? If a mother makes it known that she is going to get an abortion, and then gets shot in the abdomen killing her child, can "feticide" still be charged? What if the criminal didn't know he was killing a "fetus" because he didn't know the woman was pregnant - does his not knowing make him less culpable (perhaps we can call it "feti-slaughter" a half step down from "feticide")? What if some other mother had made her intentions known that she planned to not have an abortion - does that mean that since the mother had decided she was carrying a person the crime is now "feticide" because of her decision? Abortion advocates have long known that cases like these are their worst nightmare because these cases point out the insanity of "choice." If it is a woman's choice to abort her child, then it is in the mother's hands to decide if the child is a person or not. But what if, as we have in this case, a child is killed in the womb - is that murder? If it is murder, then the child is a person, but if the child is a person, then does that mean that the children who are aborted aren't persons? This case shows the utter ridiculousness of the notion that a mother could "choose" whether or not to bestow "personhood" upon the person growing in her womb. Usually, the pro-abortion crowd frames the argument around "women's rights" but the horrific tragedy of a child being killed in the womb makes people pause and reframe it from the perspective of the child for just one second. We pray for the mother of these children, for the repose of the souls of these kids, for the criminal who brought all of this about, and we pray also for our thoroughly confused nation as we try to continue to fit the square peg of "choice" into the round whole of "the acceptable"
Symbols are everywhere in Catholicism and some had asked for this so I thought I'd run through some of them. If you have other ideas for other symbols or phrases, email them or put them in the comment box and we'll try and figure them out. 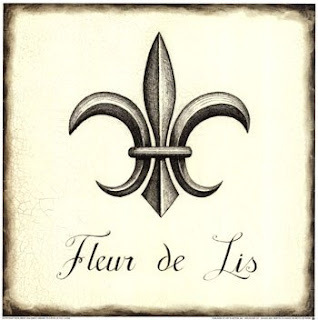 Fleur-de-Lis: The Fleur-de-Lis came to represent two things intertwined - the French Monarchy, each of the three leaves representing the different classes of French society under their monarchy, and the image also has a Marian background. "Lis" means Lilly, a flower which has long been identified with purity. The Fleur-de-Lis is also trinitarian with its three leaves as well. Because the French Monarchy has always been tied to the Catholic Church (both were simultaneously overthrown during the French Revolution) this image has appeared in many secular and Catholic places that take their heritage from the French. Chi Rho - in 313, as "barbarians" were preparing to sack Rome (most historians agree that the Romans were much more "barbaric"). The pagan emperor Constantine saw a vision in which Christ showed Constantine the Chi Rho - the first two letters of Christ's name in Greek (XRISTOS), and Christ told Constantine "in this sign you will be victorious." Constantine had his soldiers paint the above symbol on their shields and the Romans proceeded to successfully defend their city in a miraculous military victory. Constantine promptly consecrated the realm to Christ and the Church, although Constantine himself, as was popular at the time, wasn't officially baptized until he was on his death bed (in order to prevent the chance of post-baptismal sins condemning a person to Hell). "IHS" - A couple of different possibilities for this symbol are out there. The most popular is that I, H, and S are an abbreviation of the Latin phrase that Christ spoke to Constantine - "In Hoc Signo Vinces" (In = in, hoc = this, signo = sign, vinces = you will win). Others attribute it to the first three letters of "Jesus" in Greek - IHSUS. The Catholic Encyclopedia notes that abbreviated monograms were quite common throughout the world of the early Church. Boehner at Catholic U = Obama at Notre Dame??? E.J. Dionne had an absolutely terrible piece in the Star yesterday, and I’m assuming other readers of other newspapers across the country were subjected to it as well. As you may or may not be aware, Speaker of the House John Boehner was invited to give the commencement address at Catholic University of America. In the weeks leading up to his commencement, professors from Catholic colleges from across the country issued a letter decrying Catholic U’s choice of Boehner. The professors (most not even from theology departments) proceeded to lecture Boehner on his Catholicism, reminding him that the Apostles and the magisterium of the Church have always encouraged helping the poor, and that he has consistently voted against efforts to help the poor. Dionne bemoans the fact that Catholics did not protest the choice of Boehner like they did when President Obama was tabbed to speak at Notre Dame in 2009. The positive side to all of this is that it provides an excellent opportunity to distinguish between authentic Catholic teaching and heretical politicking. AUTHENTIC CATHOLIC TEACHING: There is a hierarchy of truths because some teachings are more important than others. This is a quote from the Church’s teaching on Social Doctrine: “The FIRST right presented in this list is the right to life, from conception to its natural end, which is the condition for the exercise of all other rights and, in particular, implies the illicitness of every form of procured abortion and of euthanasia.” How is that unclear? How many times does the Church have to say it? At the top of the list of rights is the right to life – and that means a guarantee that a person won’t be aborted or euthanized. Dissentingly heretical Catholics love to create the picture that Catholicism in the modern political landscape is just a wash – some people are for keeping abortion legal and some hate poor people – it’s all just a wash. This is absolutely false. What angers me about all of this is the fact that it is assumed that Boehner, (or any other conservative politician) because he/she doesn’t vote for a larger Welfare State with every vote, hates poor people. MANY people believe that a larger welfare state doesn’t necessarily mean more poor people are getting helped. I’m not here to argue policy – the point is that debate clearly has been taking place for the entire history of our country – do we provide more welfare assistance through the state, or do we let people keep more of their money and see to the poor themselves? Regardless, the Church doesn't teach that a politician ought always vote for a bigger welfare state. The Church, in its social teaching, says nothing about always needing to expand a welfare state. The statement in the letter from the profs that says “Mr. Speaker, your voting record is at variance from one of the church’s most ancient moral teachings” betrays a profound ignorance of the Church's social teaching. What IS clear is that President Barack Obama has looked to expand abortion legality at every turn, and as a state legislator, voted in favor of letting children born in botched abortions die in the hospital room. How messed up is that? That is not something people “on both sides of the aisle” have gone back and forth on for a long time, nor is it something the Church has said people should go back and forth on. Someone who, from a Catholic perspective, views not always voting for a larger welfare state as being on par with Obama’s abortion record has NO CLUE about Catholic doctrine. My final comment: I love the fact that these professors and Dionne appeal to the magisterium of the Church and note that the Church’s teaching on care for the poor goes back to the Apostles. Are you kidding me? When else does that fact ever hold sway with this crowd of profs? The ordination of women? Contraception? Acting on homosexual attraction? What a joke that they would now appeal to the Church’s history of teaching when they routinely spit on it. Before referencing the Church’s teaching on social issues such as poverty I ask Dionne to first READthe Church’s teaching on the subject. The Apostles Delegated...and So Should We! George Weigel is a beast (in a good way)! This article tells you all you need to know about the report released this week on the abuse crisis. Click here to read a concise piece worth four minutes of your time. Why Are There No Liberal Catholic Blogs? My brother Tony is friends with a named Ryan who works in the Church and who traveled to Denver, CO this past Fall for a conference on evangelization. While Ryan was at the conference, at some point they talked about the top 10 Catholic blogs and they also listed 10 Catholic blogs that are on the rise. My brother Tony relayed to me that I had made that list! Pretty crazy because I really honestly didn't know hardly anyone was reading my blog and at the time I was actually wondering if it was worth the time. I decided to see how someone put together this list of blogs, so I Googled "top Catholic blogs" and a website came up that tracks the Catholic blogs and ranks them in terms of the number of people who subscribe. I certainly was nowhere to be found on that list, but that isn't why I write this piece - what I noticed when I went to that website was that there was no LIBERAL Catholic presence in the blogosphere. Essentially every blog that was pulling in some semblance of readership was what could be described as pro-Vatican "conservativish" blogs. "I am a progressive Roman Catholic noticing that conservatives and traditionalists Catholics take most of the Catholic space on the web. I decided to start blogging to advance "progressive" Catholic views." It was good to know that others had noticed what I was thinking. Another blog that popped up noted that it had been voted the number 2 Catholic blog by "Online Christian Colleges" a non-Catholic Christian group that also has on their website "The Top 50 Astrology Websites" which should tell you all you need to know about "Online Christian Colleges." I would hope to be ranked last by that particular organization. So I'm seeking input from all of you. Drop it in the comment box or send me an email or whatever - why are there no liberal Catholic blogs? I'll think about it some more and also sort through the insights you all have and try and put some possibilities on here in a few days. Help me out with some insights - I'm really curious on this issue. Homeschool Talk: Getting Your Kids Ready to Face Atheism! Are there specific Bible passages or arguments that kids need to be taught in order to prepare them to face atheism or is it the case that while our children must continue to learn the Faith, can the REASON WHY we have all of these teachings provide the surest antidote to the world? I propose the "Tolkien Solution" for how to get one's children ready to face the challenges they will encounter in the "world." Battery ran out at the end, but most of the talk was captured. Is It Catholicism that is Unreasonably Rigid on Homosexuality? As I've reflected over the firestorm that was my classes on homosexuality, I thought one final comment ought to be made. Many commenters left remarks out of spite and didn't really listen to what the Church says on the subject. Some comments, however, were rational, and I tried to respond to all of those types of comments with my post a few weeks ago. One of the rational commenters noted something to the effect of "while this Church is crazy, we [the homosexual community] should be dialoging with people like this because he seems a lot more rational than a lot of other religions on the subject." The commenter was not referring to me in general but to the Catholic Church, and I couldn't agree with him more. The Catholic Church is enemy number 1 for many in the homosexual camp, but here is the irony - most Protestant denominations and Islam are WAY more intense about homosexuality than Catholicism. The Church says it isn't a sin to have homosexual attractions, and I challenge anyone to find another major religion that says something that soft on the issue. Most of the branches of Islam favor putting a homosexual caught in the act TO DEATH! One website estimated that in Iran alone nearly 4,000 have been killed for acting on their homosexuality since 1979. Yet, for some odd reason, the liberal media often suggests that Islam ought to be more accepted while at the same time often lambasting Catholicism for its rigidity. Isn't it the Church that is the most liberal on the issue of homosexuality? And yet the Church is villainized for its rigidity? Those who are not operating out of a specifically anti-Catholic bias would be wise to engage the Church on this issue instead of pretending that Catholicism is the camp of rigid fundamentalists. It certainly remains to be seen if that change in approach will ever happen. 1) A new provision is given which allows for the proclamation of the readings during a low Mass to be done EITHER in the traditional Latin OR in one's native language. This morning, because my printer was broke here at Ritter, preventing me from printing the booklets we normally use, the readings were done in English, and I found that to be a nice variation. 2) Seminaries are instructed to provide training to their charges with regards to the Extraordinary Form of the Mass. I ask for this for several years but the "political" climate was not right - it seems as if that is changing. 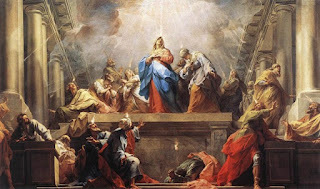 The Extraordinary Form of the Mass (the Latin Mass as it is often thought of, although this is misleading because the Mass at your parish can be celebrated in Latin as well) has been discussed here before, but I want to again describe my affinity for it. I love BOTH forms of the Mass, and both are EQUALLY valid - obviously. I believe that both forms of the Mass inform each other. I wanted to learn the Extraordinary Form because I wanted to learn where the Mass has come from. If the Extraordinary Form of the Mass is ostracized, it's like a family photo album with all the pages ripped out from the beginning of the album. Learning the Extraordinary Form has ONLY helped me in praying the Mass as it is in the Ordinary Form - it has also given me a greater sense of the many abuses that PEOPLE have ADDED ONTO the Ordinary Form of the Mass that the Church has never intended. I pray that Universae Ecclesiae will be read and accepted and embraced by ALL the faithful, priests and laity alike. What Makes a City Catholic? As I weaved my way through the mysterious and musty streets and sidewalks of the French Quarter as the sun was just beginning to rise, I was immediately taken back to the Eternal City I had just returned from a few weeks earlier. Although New Orleans and Rome are separated by 1,000’s of miles and founded 1,000’s of years apart, it was their similarities that provided me with some philosophical granola to chew on. The prayers of my silent Rosary mixed with the laughter of the inebriated who still inhabited the never-closed bars of New Orleans. The smell of flowers dangling from the steel awnings that sheltered the sidewalks of the French Quarter provided a sharp contrast to the stench of trash, stale beer, and other less savory odors. 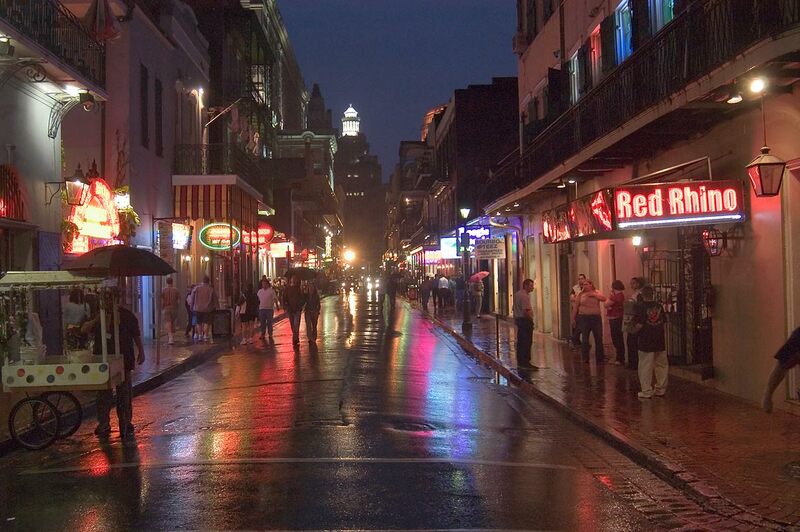 The French Quarter forces itself upon you; the place can not be ignored or simply passed through. The buildings and streets are close, and give the impression of walking through narrow canyons. At the same time, the facades are mysterious because one knows there is a lot more behind the walls than meets the eye. Cars, dogs, bikes, and people all share the narrow passageways, and there is no established right of way – each encounter between person and vehicle or between car and bike must be negotiated with eye contact and even sometimes conversation. Restaurants blend in with apartments, and those blend in with shops. The streets of Rome are dirty and are not laid out with any semblance of order. Most Romans are simple people – neither destitute nor terribly important in the eyes of the world, and they seem to scoff at the busyness and the frenetic pace one finds in the suburbs. As in New Orleans, one can’t help but rub shoulders with people. High-powered mopeds fly down narrow side streets as do bikes and pedestrians and pets and compact cars. New Orleans and Rome are two of the most “Catholic” cities in the world, and the question I mulled over on my morning walks was “why?” What makes a city (or any other place – a school, a home, a community) earn the adjective “Catholic”? One of the key components seems to be the aspect of “mystery”; of realizing that there is more to the city than meets the eye. Rome and New Orleans are both “sacramental” cities in the sense that there is so much more going on beyond what one grasps during a day trip. Another key component to the two cities would have to be the fact that one encounters sin face to face while visiting. A city does not need to be sinful in order to be Catholic, but neither Rome nor New Orleans tries to white-wash the sins of its people in some sort of moral cover-up which would just be a lie. There is no fake moral sterilization and thus there is no ability to lie to oneself about the forces struggling for the souls of the cities inhabitants. Catholicism has at its core the idea that good is actually battling evil here on earth right now everywhere. Places (communities, churches, cities, homes, schools, etc.) that try to deny this and look the other way and lie to themselves about the presence of evil ultimately only help the Devil remain exactly where he would like to be – in the shadows. You can’t walk through the French Quarter without seeing the absolutely destructive power of alcohol addiction; you can’t turn the corner without encountering voodoo and palm reading; prostitutes and strip clubs are not relegated to the back allies but hold the prime real estate; drugs are not hard to acquire in the French Quarter, and yet amidst the evil one finds good people and the Church is present there with Churches and schools and ministries. Some would write off New Orleans, as some have surely written off the different Roman civilizations through the millennia, written them off as being over run by evil and thus uninhabitable for good people – but the Church has persisted in those places and continues to see the possibility of redemption for even the most wayward souls. It is easy to contrast these two “Catholic” cities with most of the modern cities that we encounter throughout the world. Most modern cities are efficient, clean, and sterile. The streets are wide and one can quite easily navigate through one’s day without really having to rub elbows with humanity. The mysterious has been pretty much stripped from cities today; one knows what one is looking at when one sees a sky-scraper or a Starbucks or a CVS. I wonder if we are better off for all of these contributions of modernity. At the Catholic educators conference I attended that week in New Orleans I heard a lot about Catholic identity in schools and communities. That being said, the best presentation I witnessed that week on Catholic identity was not in the climate-controlled and spacious convention center, it was the education I got by strolling down the alleys and streets of the French Quarter and listening to her tell her stories. 88 pro life demonstrators finally had the trespassing charges against them dropped. The charges were filed against the 88 individuals when they entered Notre Dame's campus to protest President Obama speaking at the University's graduation ceremony in 2009. The full story can be read by clicking here. If Notre Dame had asked for leniency for the 88, legal experts unanimously believe that the charges would have been dropped long ago, but Notre Dame refused. As a deacon, I was also on campus during the commencement, and I heard speeches from Notre Dame priests blasting president Jenkins' decision, and I prayed a rosary at the grotto for all of our Catholic universities; it was a day I'll never forget as a Catholic. What a sad day for Catholicism in America! Below is video of one of the "Notre Dame 88" getting arrested - who would have thought a priest would get arrested while praying on the campus of a Catholic University? More about the state of Catholic Universities in America to come! 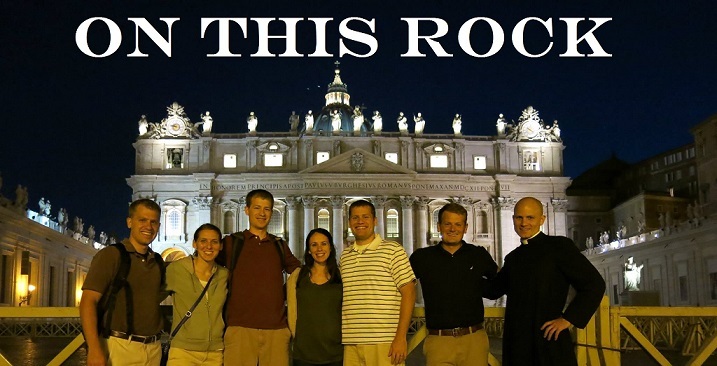 As the Catholicism Project from Fr. Robert Barron nears its release date in August, I will occasionally release some of the trailers put together for the series. This is the trailer for the part of the project filmed in Jerusalem. This was a test of a new feature I'm incorporating into the blog where you can like any posts that you see on my blog by just clicking the like button if you are on Facebok. It can be a nice way to share information with your friends easily. I hope you like it if you are a "Facebooker"! Great Post About Liturgical Music and Justin Timberlake! Can I Love God Too Much? I've had my nose in a fantastic theological book by Fr. Reginald Garigou-Lagrange O.P. called For Love of God and the Cross of Jesus. The book has been absolutely convicting me, which is always exactly what I need! The book is theological in nature but Lagrange is such a good writer that he makes the subjects accessible for the average Catholic as well. My favorite part about the book is that he provides a synthesis of my two favorite and most influential saints - St. John of the Cross and St. Thomas Aquinas. The central question, at least at the beginning of the book, is one I really need to be kicking around in my own life, and Lagrange puts it very simply - can I love God too much? This is a great question because many that I know, myself included, have the mindset that a person should love God at about 80% of full-throttle because if a person goes all out, they'll turn into a "crazy" or a "Jesus freak" or whatever phrase you want to use. We want the safety of Jesus and controlled normality. We are afraid that if we love God full-throttle we won't be able to talk to normal people, and I know I often rationalize my compromise by telling myself "I'll keep one foot here in the "real" world so that I can reach people" as if, in that decision, I am somehow doing God a favor. "For the one whom God sent speaks the words of God. He does not ration his gift of the Spirit." RATION! What a perfect word for what I know I do all too often - I set the limits, I decide on what terms God will work in me and through me and I knew as soon as I read it yesterday that God was saying to me "STOP RATIONING! I am He who can not be rationed!" St. Thomas and St. John of the Cross and yesterday's Gospel all serve as good reminders to us in the "normal" world that we CAN'T love God too much, and maybe for a person like me, who is pretty blessed, the true test of Faith isn't so much believing IN God but believing that giving God my all and surrendering will not make me weird. I love the readings that the Church gives us in this Easter season - most of them focusing on the Holy Spirit. The Holy Spirit has often been hijacked by crazies to justify every sort of religious experimentation under the Sun, but the readings this week reveal the Truth about the Spirit. For me, the reading from Monday was especially revelatory for us as Catholics today. and continued to speak the word of God with boldness." Interesting that the true presence of the Spirit seems to be measured by one thing - boldness. This boldness in proclaiming the Truth of Christ stands in such stark contrast to how many people live out their Christianity - a sort of "I'm okay, you're okay" lukewarm passivity that offends no one, inspires no one and saves no one. Certainly one can be bold AND do it in an idiotic way, and this is why Saint Paul says if we lack Charity, all is for naught. However, what the reading from Acts makes clear is that if we aren't bold in proclaiming the Truth, then we do not have the Holy Spirit. 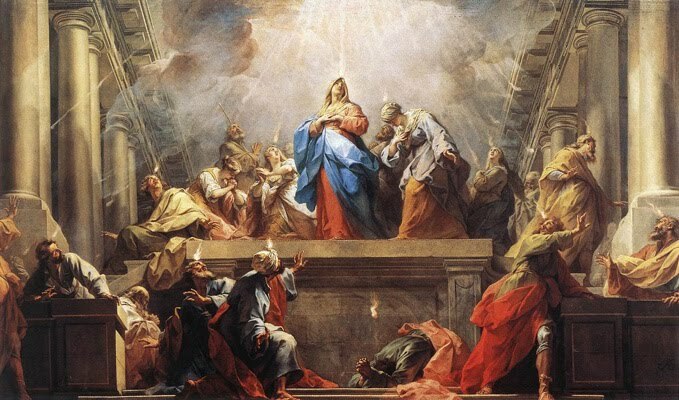 I pray for a greater share of the Holy Spirit - "Come Holy Spirit, enkindle in us the fire of your love!" I think I can honestly say that the toughest day as a priest for me so far has been this past weekend. I didn't know that it was going to be first communion weekend until about Wednesday, and not being at the parish, it snuck up on me. So I've been at the parish on the weekends for basically two years. But when it came time for the parents to process in with their young people receiving their first communion, I only recognized about 10% of the parents walking in. 10 PERCENT!! I was shocked and saddened at the same time, and I really am tempted to despair sometimes. Those poor kids! Who is going to bring them back to Mass? When are they going to receive second Communion? In a year? At school Mass? It was just really unbelievable and hard to process it all. Obviously the kids are not held accountable for their parents not bringing them to Mass, but wow, they are still keeping their kids from a ton of grace. It would be one thing if any of the parents showed some sign of recognizing the incongruity, but instead it was the norm and none of the parents who I'd never seen before seemed to even recognize the problem. I'm sure it is the same at other parishes, but it really was impossible to miss this year for me, and it was really sad. It also reminded me of going to the parish school's fundraiser last year - and I literally didn't recognize hardly anyone! Hardly any of the parents sending their kid to our Catholic school are also going to Mass!!! All we can do I guess is try and help people to see that the Mass is the Source and Summit of all we do - and pray - really really hard. Two days ago, I officially crossed the 50,000 view mark for this blog! The counter at the bottom was installed a few months after I started, so the numbers are slightly off. Anyway, it has been absolutely amazing to see what God has done with this page. I really didn't think it would go anywhere and I NEVER would have started on my own; I really just started as a result of Pope Benedict asking priests to blog. It was a total obedience thing, but has turned out to be quite fun (and even those times that haven't been fun have still been HIGHLY informative!). Thanks for checking up here, and I hope to continue to provide quality stuff here that hopefully brings people closer to Christ and His Church. Suggestions for the future? Ideas for topics to cover? Whatever your ideas or comments are, I hope that by now I've established that I'm open to new ideas and suggestions. Thanks again for following along, and know that I pray for you all just as I ask for your prayers as well! "Osama Bin Laden, as is known, claimed responsibility for grave acts that spread division and hate among the peoples, manipulating religion to that end. 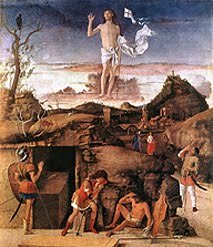 A Christian never takes pleasure from the fact of a man's death, but sees it as an opportunity to reflect on each person's responsibility, before God and humanity, and to hope and commit oneself to seeing that no event become another occasion to disseminate hate but rather to foster peace." I thought this statement was very well said. My mom always told me when my brothers would harass me or if I had picked a fight at school that I should not "sink to their level." I couldn't help but think of that wisdom as I learned this morning that celebrations broke out last night in various parts of our country over Bin Laden's death. I get the fact that he was a symbol of terrorism, but it seems like he would continue to win as long as we allow him to make us act less human than we should and can be. In his actions throughout his life, he repeatedly forsook his humanity - we should not imitate him as we decide how to handle the news of his death. Is the Eucharist a Symbol? Why Can't Non-Catholics Receive It? Why Can't I Receive the Eucharist If I'm in a State of Mortal Sin? Because you can't get it all in in at once, there are some follow up points that should be made. Although the Orthodox Church and Anglicans have the same theology of the Eucharist, we do not receive the Eucharist from them. We as Catholics do not receive the Orthodox Eucharist because they do not believe in the Papacy - although in an emergency we are able to receive the Eucharist from them. The reason for this exception is simple - they have a valid priesthood, they just don't like the Pope. Since they have a valid priesthood, the Eucharist is valid. The Anglicans, on the other hand, are not considered by the Catholic Church to have a valid Eucharist because their priesthood is not valid. The Anglican Church was founded by Henry VIII, and thus the priesthood that sprung up from his new religion was not valid, so Catholics, even in an emergency, can not receive the Eucharist from the Anglicans. What I was pointing out is that the Orthodox and Anglicans both believe in transubstantiation - that the bread and wine become a completely new substance in an irrevocable way. Finally, it should also be mentioned that not only do non-Catholics not receive Catholic Communion, and not only should Catholics in a state of mortal sin not receive the Eucharist, but also Catholics should never receive any other form of communion from non-Catholic communities, even if in those communities the bread and wine simply function as symbols. The Church believes this might be seen by outsiders to suggest that the Church considers the communion of those non-Catholic communities to be valid. Have further questions about the Eucharist? If so, please drop it in the comment box below. God bless!